Orange County’s latest culinary import, Tortilla Republic, has opened in Laguna Beach. This marks the third location for the Mexican eatery, which also has locations in West Hollywood and Kauai, HI. Housed in the space formerly occupied by Asada, the venue serves contemporary Mexican cuisine, emphasizing farm-fresh ingredients and unexpected flavors like the vegan hibiscus flower enchiladas. The venue’s bar program also features more than 100 agave tequila selections. Tortilla Republic, 480 S. Coast Hwy., Laguna Beach, CA 92651, 949-393-4888. The Balboa Bay Resort is jumping into the world of the gastropub with the opening of A&O Kitchen + Bar. The restaurant, which will be housed in a completely renovated space, where Duke's Place once resided, is slated to open in June and will feature casual yet innovative contemporary fare, as overseen by the resort's executive chef, Vincent Lesage. Menu items will range from pork belly sliders and a sausage flight to beer-marinated fried chicken and orchiette pasta. Lunch & Dinner daily. A&O Kitchen + Bar, Balboa Bay Resort, 1221 West Coast Hwy., Newport Beach, CA 92663, 888-445-7153. 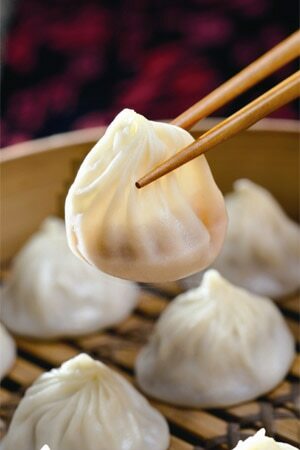 Din Tai Fung, the Los Angeles-area restaurant that has built a cult following around its Shanghai-style soup dumplings, is coming to Orange County. The highly popular restaurant is slated to open in an 8,000-square-foot space in South Coast Plaza on August 18, 2014. Din Tai Fung, South Coast Plaza, 3333 Bristol St., Costa Mesa, CA 92626, no phone. The gastropub-esque eatery Bosscat Kitchen & Libations is now open. This venue, located around the Irvine/Newport Beach border, a couple blocks south of John Wayne Airport, brings a decidedly more casual dining experience to an area where OC’s power elite does business. Executive chef Peter Petro oversees a menu of forward-thinking contemporary cuisine, augmented by Southern twists. The drink menu is highlighted with a deep selection of whiskeys, including some that can be enjoyed exclusively in the venue’s special private tasting room. Lunch & Dinner daily. Bosscat Kitchen & Libations, 4647 MacArthur Blvd., Newport Beach, CA 92660, 949-333-0917. Costa Mesa’s Triangle Square shopping complex is slated to be the home of the Mexican culinary concept La Vida Cantina. The restaurant, which will be housed in the former location of El Corazon de Costa Mesa, is scheduled to open in June. Guests will be able to sit on the venue’s massive outdoor patio and enjoy margaritas and other specialty cocktails, or indulge in modern Mexican dishes made with organic ingredients, such as lobster enchiladas served with a poblano cilantro tomatillo sauce. For more information, visit www.lavidacantina.com. La Vida Cantina, Traingle Square, 1870 Harbor Blvd., Costa Mesa, CA 92627, 949-612-2349. The latest creation in Umami Burger’s “Artist Series” is the José Andrés Burger, a ground pork and cured ham patty topped with piquillo pepper confit, caramelized onions and Manchego cheese. It costs $15, with $1 from each burger donated to World Central Kitchen, a humanitarian organization launched by José Andrés and focused on solutions to hunger and poverty. Andrés has also designed a tapas and pintxos menu with options like patatas bravas (twice cooked crispy potatoes), dates wrapped with ham, and green olives with piquillo confit and anchovy. For more information, visit www.umami.com. 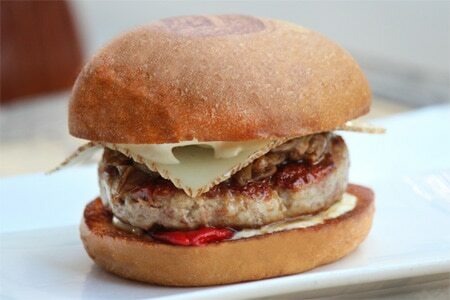 Umami Burger, 610 N. Coast Hwy., Laguna Beach, CA 92651, 949-342-1210. Mitch Gillan has been appointed executive chef of Jimmy’s Famous American Tavern in Dana Point. The new role represents a reunion of sorts between the veteran OC chef and the restaurant’s proprietor David Wilhelm, as the two worked together when Gillan oversaw the kitchen at the now-shuttered venue French 75. Jimmy's Famous American Tavern, Dana Marina Plaza, 25001 Dana Point Harbor Dr., Dana Point, CA 92629, 949-388-8900. Landmark in Corona Del Mar has closed its doors. The restaurant, which was known for its steaks and its late-night scene, held its final day of operation May 10. Plans for a new restaurant to occupy the now-vacant space have been announced, although the actual dining concept is still under wraps. Landmark, 3520 E. Coast Hwy., Corona Del Mar, CA 92625, no phone.